In one day, how many Sellaronda loops are possible? One thing that we have plenty at Holimites are ideas. We write up every one of them and actually this list is pretty long. But soon or later we may be able to share them with all of you like this one about the Sellaronda. We investigated among all ski instructors that are every day on the slopes. But no-one ever tried it or knew someone that tried to do this. Someone told that 2 to 3 loops are possible, others, with some strange formulas and cut options on the course answered that 5 loops may be possible. Finally on March 28th 2015 the Holimites team gave an answer to this question that followed us already for some years. choosing the most direct slope to get to valley. This is important … there is one area where if you follow the signs on the slopes you will take more lifts (skipass needs to be used) than needed. 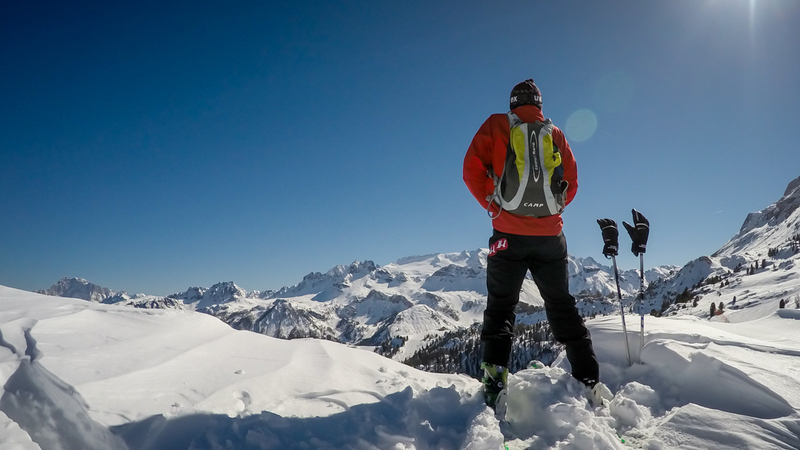 We took the ‘signed’ slopes on our last Sella Ronda loop as we saw we had some spare time. What we couldn’t plan was the weather. Mister Winter gifted us with a nice snowfall the days before, and cold temperatures and deep blue sky on the planned day. Skiing conditions where like in January. The final answer is FOUR, and this with a reserve of 15 minutes on the lifts closure. A nice round number as four are also the Dolomites passes around the Sella massif: Campolongo, Pordoi, Sella and Gardena that are famous also for cycling during the summer. 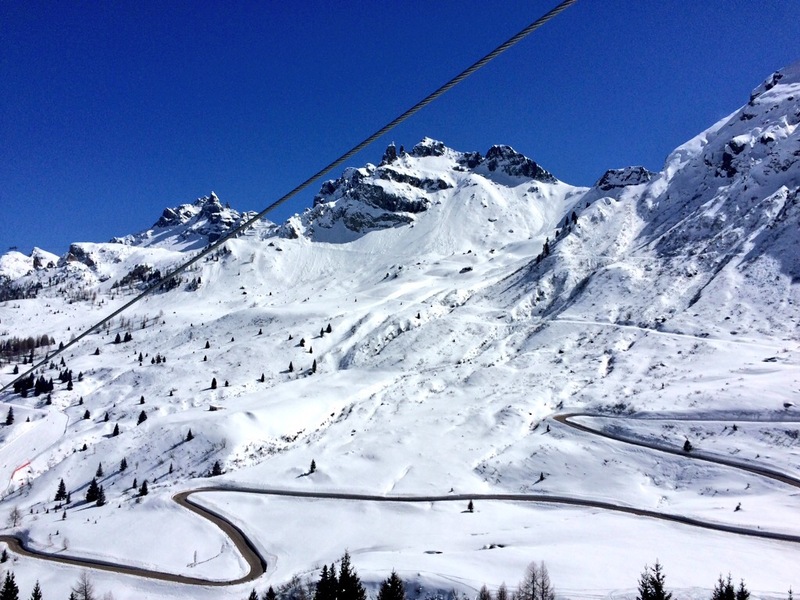 We recorded our Sellaronda ski trip on GPS and published it on Strava. Click on the image below to view all the details. And if someone of our guests would like to fill our to-do list with some new ideas just write us! Curiosities: The Sellaronda (also called Sella Ronda) is without any doubt the most recognized ski circuit of the Dolomites. It is possible to ski it clockwise or counter clockwise and it runs around the Sella massif. Even if this symbolic massif of the Dolomites has the same characteristics of all other Dolomite massifs and has the same Dolomite mineral it is not among the mountains labeled by the UNESCO as World Heritage Site. Same fate for the nearby Sassolungo symbol of the Val Gardena / Gröden valley and the Tofana and Cristallo mountain group symbol of Cortina d’Ampezzo. Check out this page on Holimites.com to see on a map which mountains are recognized as UNESCO World Heritage Site. 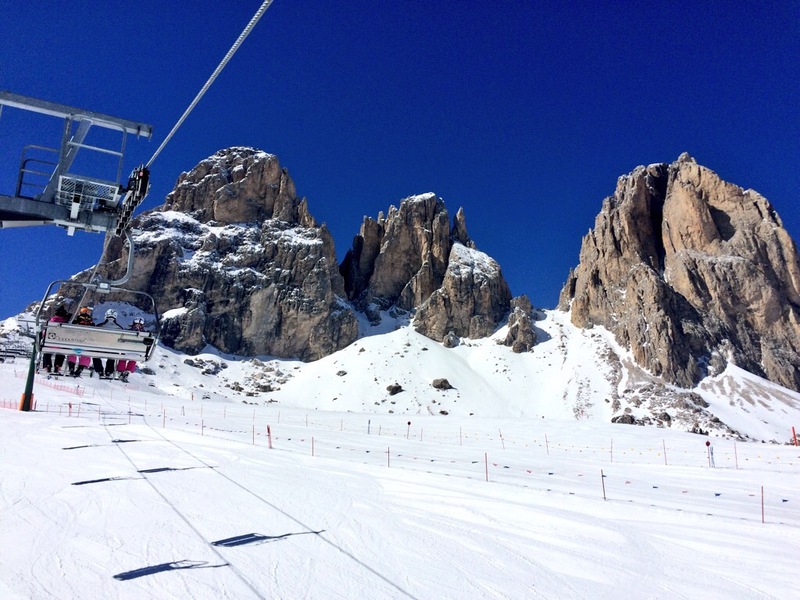 This entry was posted in skiing, Winter and tagged dolomites, dolomitisuperski, sella ronda, sellaronda, skiing on March 30, 2015 by holimites.